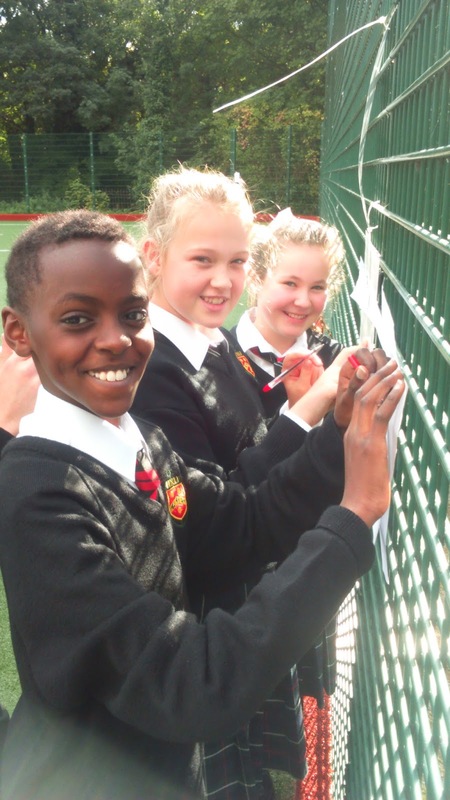 The High School Dublin : Maths-Orienteering for Maths Week! To mark this year’s “Maths Week” which took place from 10-18 October, each Form 1 Maths class took part in a fun Maths/Orienteering crossover event on the Hockey pitches, organised by their teachers. Each class was split into teams, and were given a starting location. The answer from one question gave them the location of their next. Not all routes were followed successfully, but all teams were active and found the fun in the novelty and in the solving of the problems!